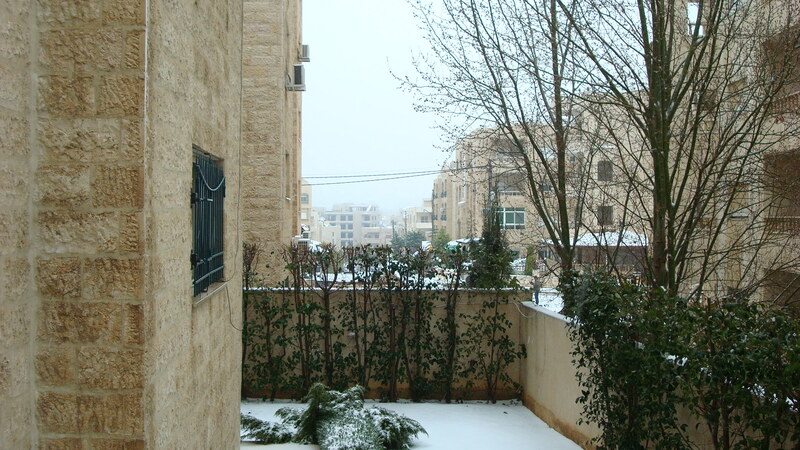 Two weekends ago, Raj and I were trapped in the house for an ENTIRE weekend. Suffering from a serious case of cabin fever with nothing to do, nowhere to go and an empty larder, I searched high and low for something/anything to make. 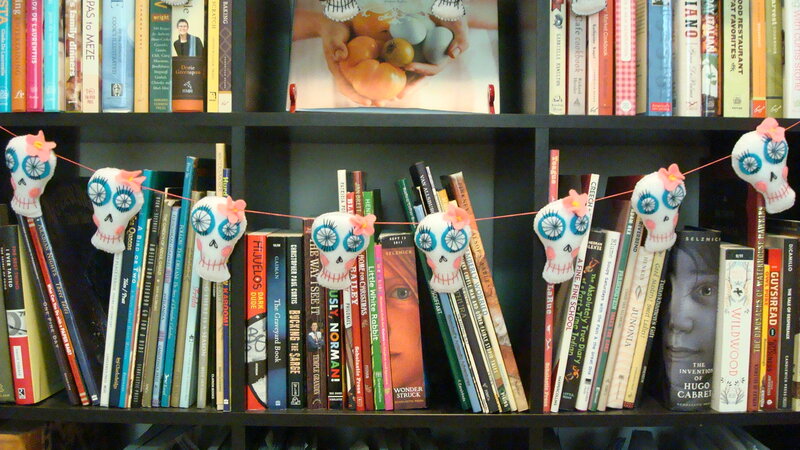 Here’s what I came up with…a springtime garland of calaveras. 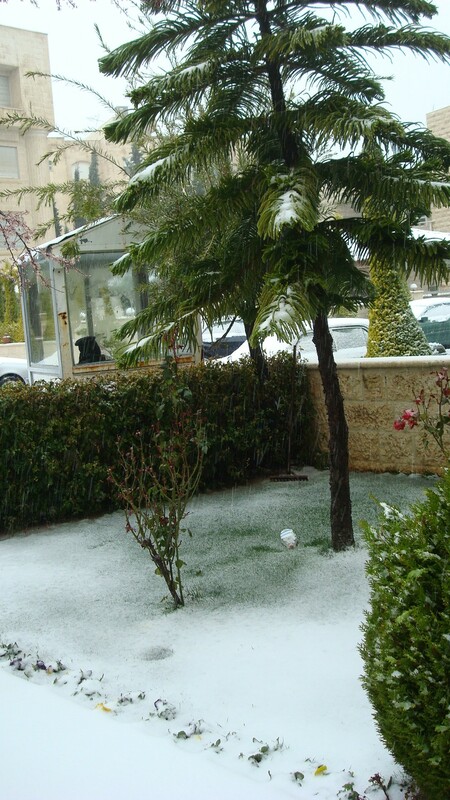 Here are some pictures of the BLIZZARD. 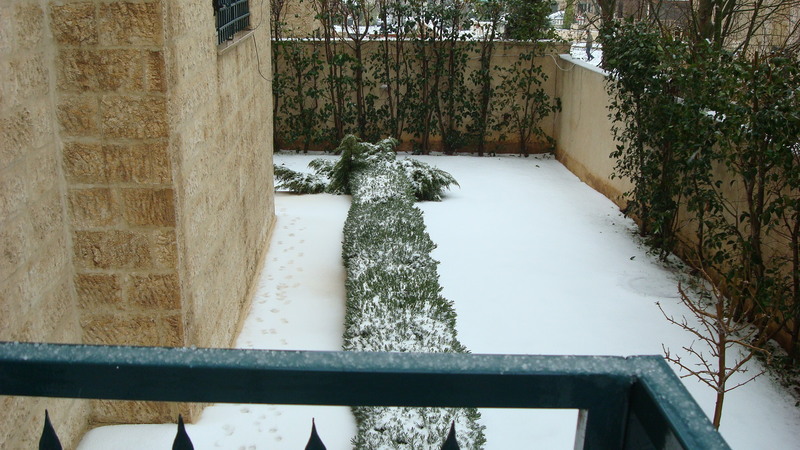 Perhaps the word blizzard is a tad hyperbolic, but there was snow on the ground for two days–a blizzard by Jordan standards. Back to crafting. 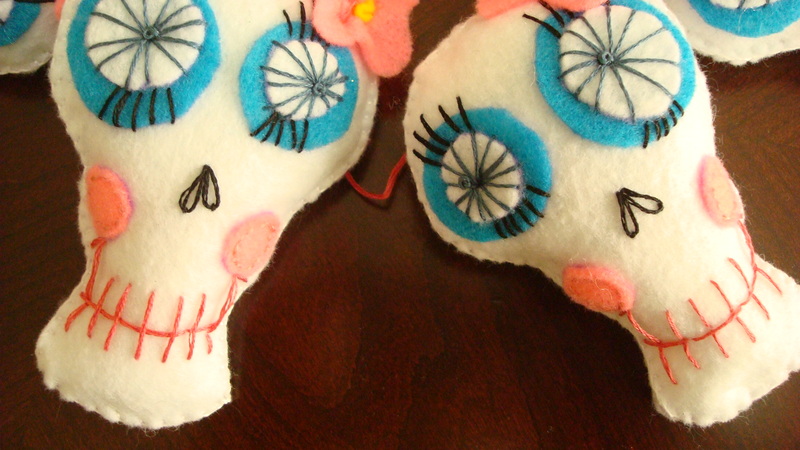 Calaveras (skulls, more specifically, Day of the Dead sugar skulls) make great decorations year round, right? I think they do, but know many others think that skulls are creepy, best relegated to Halloween decor. Regardless of your take on skulls as decor, I have TOO many hanging around our house in Amman (does this reflect my state of mind?) so I made these lovelies with the intention of giving them away to my sister who complimented the Valentine’s Day one’s. Let’s take a moment to acknowledge what a NICE and GENEROUS sister I am. 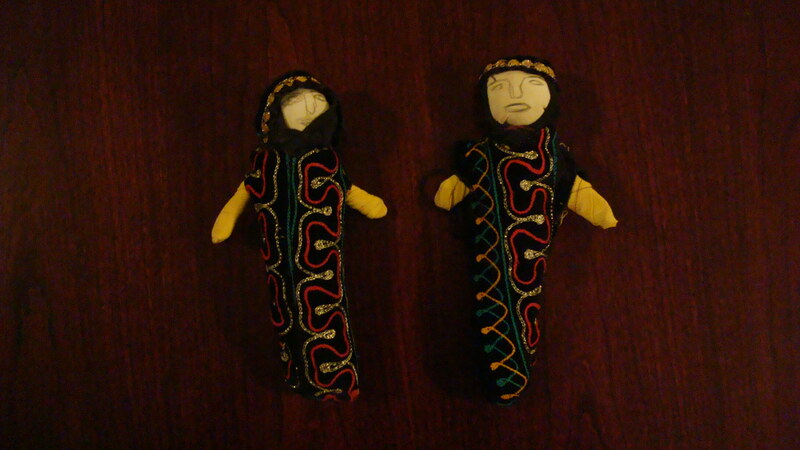 Remember the handmade doll that I bought for Nicole in Petra? (See picture below.) In response to comments that the doll on the left (the less cute of the two) should go to my sister, Nicole (known as NTP on comments) posted, “Why don’t you ask (your commentors) who the nicer sister is?” Sounds kind of snippy, huh? Maybe she doesn’t deserve the doll OR the garland? It’s so difficult being the younger, prettier, nicer sister…(j/k…a little). The doll from Petra en route to Nicole (aka the less cute doll). 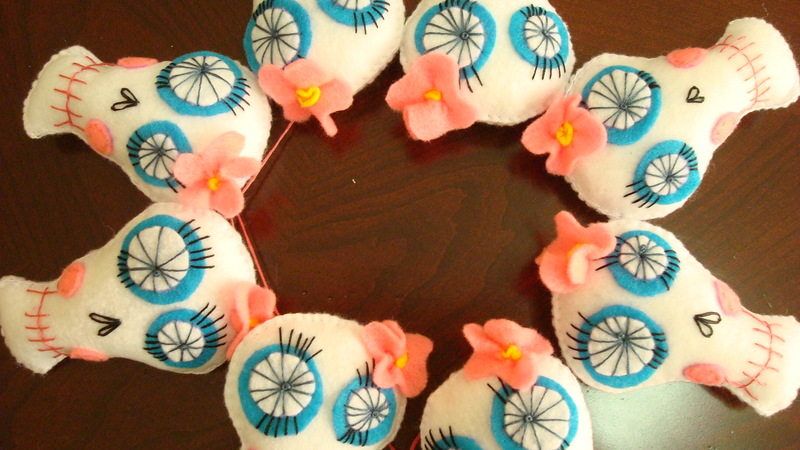 Unlike the Valentine’s Day garland, this garland is made entirely of female skulls (not a moustached one in the bunch) in softer hues of felt (due in part to the fact that I was running low on black floss and ran out of black felt). I’d like to keep this strand as well as the doll; I mean they’re both part of a collection now, but in keeping with the generous sister that I am, I’ll part with both. 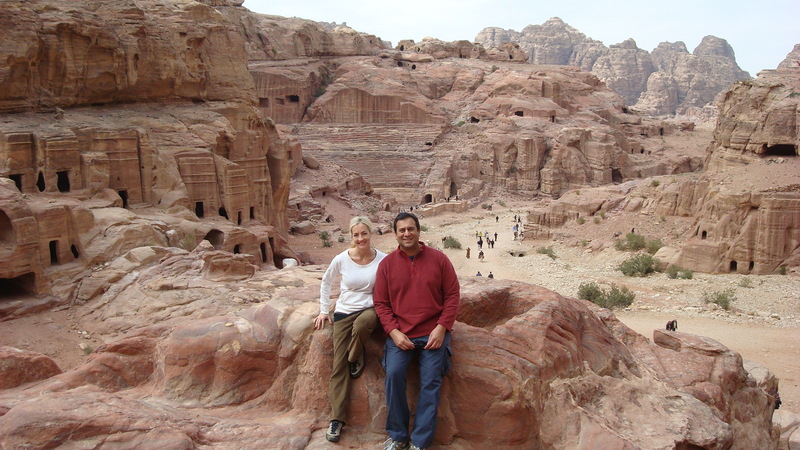 I’ll never tire of visiting Petra. It’s such an amazing place chock full of history, scenery, handicrafts, and Johnny Depp look-a-like pirates. I wish I could post pictures to back up the pirate claim, but you’ll just have to take my word for it. Petra’s swash-buckling pirates wield neither swords nor ill will, but they swagger about in skinny jeans, line their eyes in black kohl, and sport dreadlocks and Lawrence of Arabia style head scarves, all adding to the allure these rakish young men. They proffer rides on horses, camels, and donkeys to tourists with sales pitches that include, “Your wife will love you more” or “Free air conditioning.” Raj never seems too interested in getting me to love him any more than I already do and on this day it was just too cold to justify air conditioning. We walked. 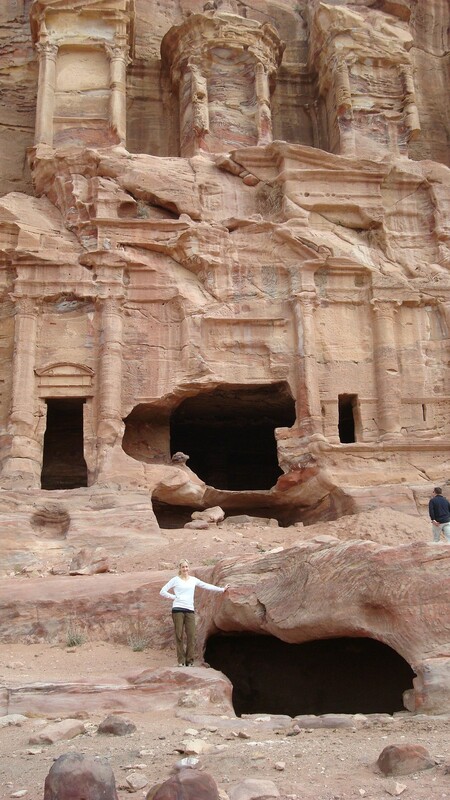 Since I’ve already posted not one, but TWO detailed accounts of Petra, I’ll spare you the details and cut to the chase. 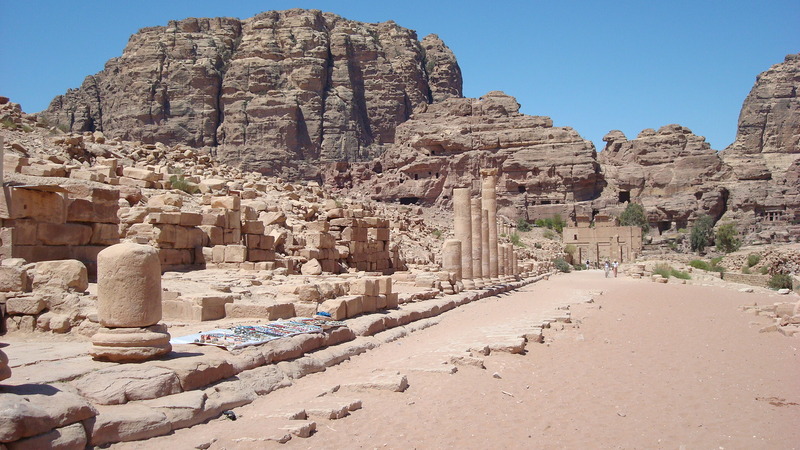 This post is not about the beauty of Petra or the pirates that inhabit it; it’s about the purchases. Similar to a swap meet, once you make it to the second row of vendors, you’ve pretty much seen everything for sale. 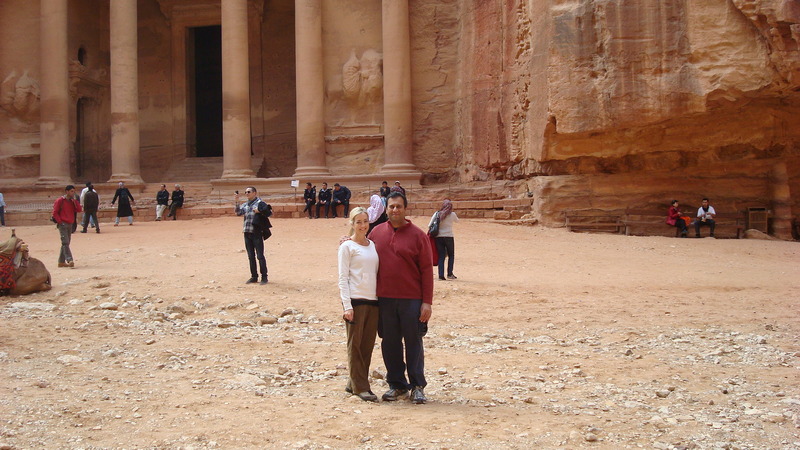 Petra is no different. 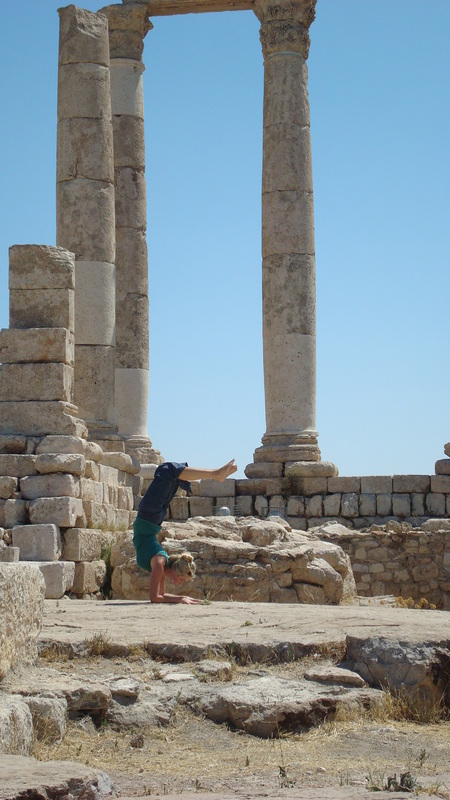 You’ll find knives, jewelry (from silver to camel bone to plastic), ‘antiques,’ (reproduction Roman coins, etc) and more. It’s ALL the same. 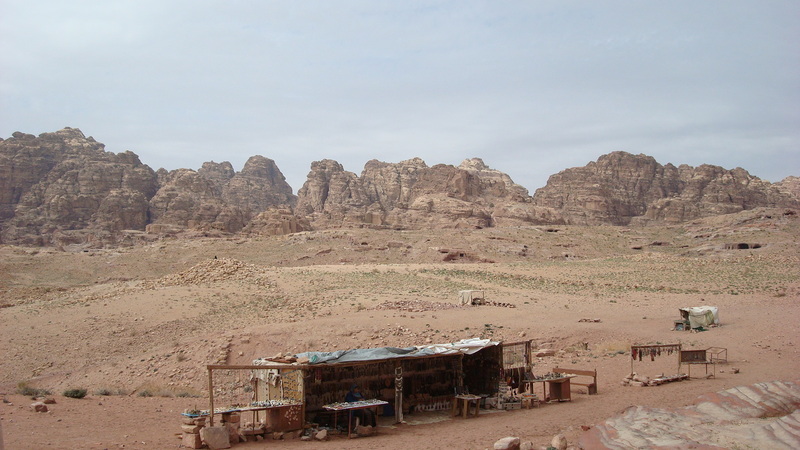 However, this time I saw something truly unique, handmade AND adorable–a first in Petra. 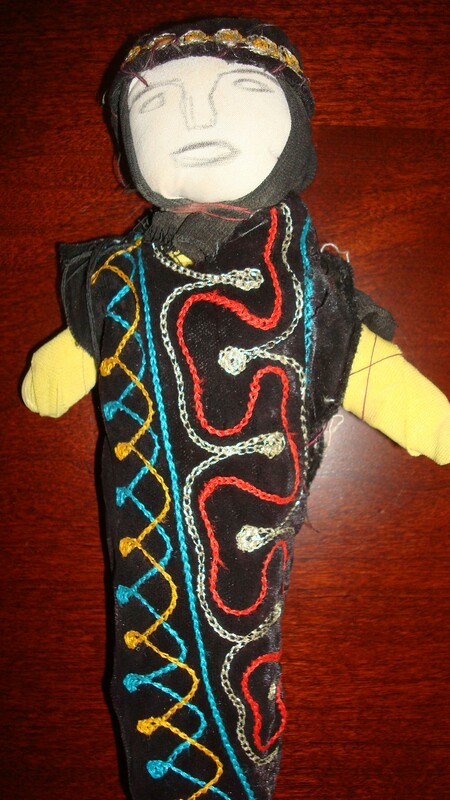 The object of my affection was a handmade doll made by an older Bedouin woman selling her wares on the side of the road laid out on a cloth. She had the usual plastic necklaces along with four of the cutest, handmade dolls dressed in velvet and silk and with faces that had been drawn on by hand. I thought of my sister immediately and knew I had to buy one for her. (Notice that my first inclination was to be generous towards Nicole, my sister). I asked Raj to intervene (bargain) on my behalf (keep in mind that he’s still reeling about getting ripped off in Egypt over saffron). The woman told him the doll cost $5 JDs. I thought, “What a bargain! I’ll take ALL four of them!” Raj thought, “Too much.” He got her down to $2 JDs for one–all the change we had left (other than a ten dinar bill) and felt vindicated. I felt sad. We walked away triumphantly until my selfish side got the better of me. While we walked, I admired the workmanship of the doll and decided I’d keep it. I couldn’t part with it and it was much too cute to give away. I mentioned this to Raj and he said, “That’s bad karma!” Whatever. Luckily for me (karmically speaking and for my sister) on the walk back, the three remaining dolls remained untouched. (Am I the only tourist to admire a real, hand-made handicraft? Apparently.) I picked up the doll and Raj handed the woman our ten dinar bill and asked for change ($8 in change for the $2 doll). Obviously she didn’t have change. No big deal I thought, “We’ll just buy the remaining three for $10 and walk away.” Nope! Raj wanted change and we only needed ONE doll. She left her make-shift shop and took off down the path for change. While we were waiting, Raj joked, “I bet she comes back with two fives.” That’s exactly what she did! She gave him the two fives. He handed her back one of the fives and asked for change again. Who cares, “She can keep the change,” I said. Nope. Raj wanted his three dinars back. She pulled out an old and worn chip bag (the kind you eat) that held her change and handed him his $3. I felt sad and cheap, but what could I do? 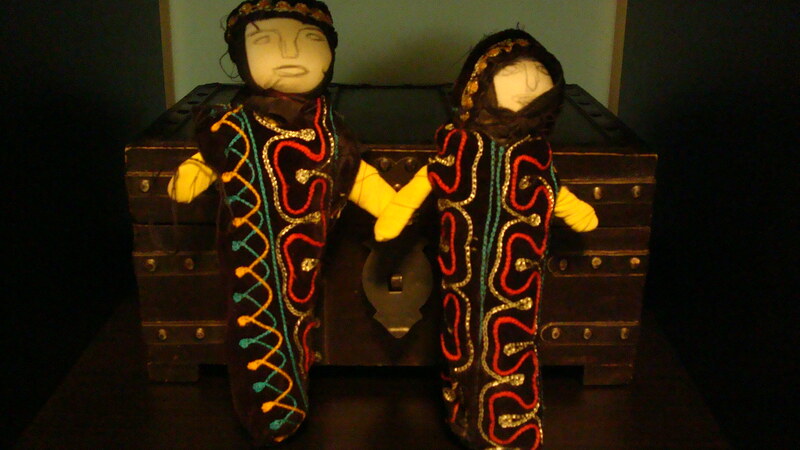 I was happy that I had TWO dolls–one to keep and one to give to Nicole. Raj felt no such guilt, just pride in his bargaining skills. Which is the cuter of the two? That's the one I'll keep! A 'shop' similar to the one where I bought the dolls.